A graduate of the Sheridan College Illustration program, Laurie started her carreer as a commerical artist in 1983. She happily began combining those skills with her love of the land in 1996 and three years later had her first solo show of large scale ‘plein air’ landscapes in Toronto. Her immediate and honest approach to painting in the landscape now carries through to a myriad of subjects including still life, interiors and abstractions. 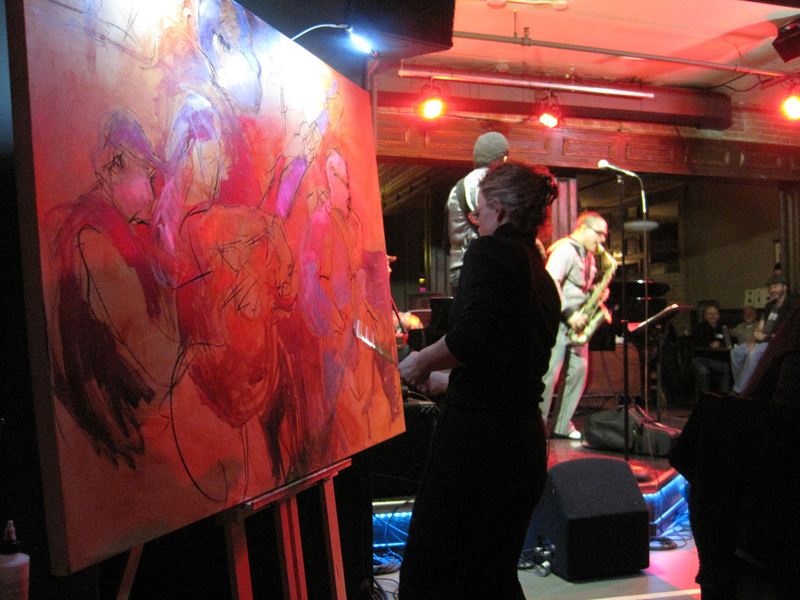 Live performance and event painting has also become a keen interest and Laurie has had the opportunity to share the stage with a diverse group of musicians including Liala Biali, Ben Grossman, Mike Murley, Rita Chiarelli and Jane Bunnett among others. ​Laurie Wonfor Nolan Studios opened in Cambridge in 2010 offering a variety of classes and workshops and has since become a haven for painters of all levels. ​Laurie was the recipient of the Bernice Adams Memorial Award for Visual Art in 2008 and was honoured with the KW Women of Distinction Award for Arts and Culture in 2011.